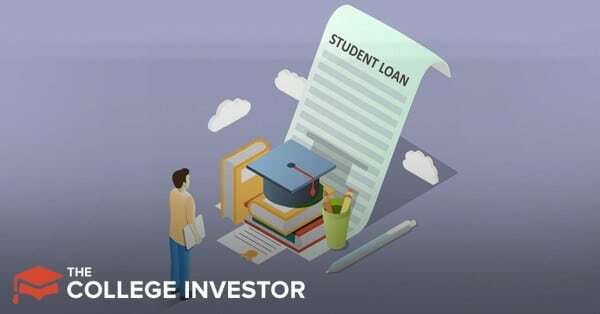 Home » What Is NSLDS and How Can You Use It for Your Student Loans? When you have multiple student loans scattered across different loan servicers that have been distributed at different times, how do you keep track of them all? Is there an easy way to get the latest info on all of your loans? Yes — there is. It’s called the NSLDS. In this article, we’ll explain what it is and how you can use it to get info on all of your student loans. NSLDS stands for the National Student Loan Data System. It is the Department of Education’s central location for federal student loans. You can find the NSLDS at www.nslds.ed.gov. Note that this is a .gov URL. NSLDS lists all Title IV loans and grants that were issued in association with the Department of Education. If you are curious what is meant by Title IV, it’s simply federal student aid funds. Now that you know what NSLDS is all about, the next section will describe how to access your student loan information. Without the NSLDS, finding all of your outstanding federal student loans would be quite a chore. You’d have to pull your credit report and identify each loan. Then contact the specific servicer of that loan to get a balance. With the NSLDS, such tedious investigation isn’t necessary. You may have enrolled in the NSLDS when you first signed up for federal student loans. Even if you aren’t sure, you can log in by clicking “Financial Aid Review” from the homepage. Try the login credential you may have created a few years back. If that doesn’t work, there are options if you forgot your username or password to help you gain access. If you’ve never created a login credential for NSLDS, just choose the “Create An FSA ID” option after clicking any of the links from the home page. Since all links require you to log in, you should see the option to create one. You won’t need any special documents to create a login credential — just a valid email address and your Social Security number. After creating a login credential, you’ll be brought back to the login page. Once your login credential is validated, agree to the NSLDS terms. After agreeing, you’ll be presented with a page showing all of your federal student loans. Those with a zero balance in the “Outstanding Principal” column have been paid in full. Note that outstanding balances are not in real-time, so you won’t be viewing the most up-to-date information. Below your listed loans are any grants that you may have been awarded. Grants, of course, do not need to be paid back. But since they were issued by the federal government, they are listed. On the NSLDS website home page, you may have noticed a large button called “MyStudentData Download.” You’ll have to log in to download anything but this button provides an alternative view of your loans. It’s actually a plain text file. It isn’t the friendliest format, but if for some reason you need that format, it is available. This same button is available in the details page of each loan as well. If it’s been a few years since you’ve taken out your loans, you’ve probably finished school and started your career. This also means you’ve probably moved at least once. The contact information in the NSLDS should be checked and updated if necessary. You can easily update your information by clicking “Your Contact Info” in the menu bar. If you need to speak with someone about NSLDS, you can reach them at 1-800-4-FED-AID (1-800-433-3243) or by email at studentaid@ed.gov. The NSLDS website can save you a lot of time in getting an overall picture of your loan balances and statuses. Since NSLDS provides contact info for each servicer, it would be a good idea to establish login credentials with each servicer’s website. By going to each servicer, you’ll have the most up-to-date information about your loans and can make or adjust any payments. My son was notified of an overage on his student loans. It stated that he had exceeded loans for school. He is in graduate school in Syracuse, NY and will need loans for the upcoming school year. How do we go about finding out overages on the loans and how this can be resolved? That doesn’t make sense, as Graduate school PLUS loans can be taken to cover the full cost of education. You should ask him what was actually sent.